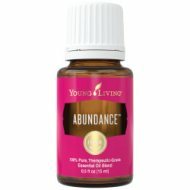 Abundance Essential Oil Attracts Wealth and Prosperity! Abundance Essential Oil is a manifesting blend which helps attracts wealth and health in our lives. The frequency of the oil is the same as the brain. Somatides transmit frequencies from the cells to outside of the body. This happens when you smell Abundance essential oil and project thoughts of prosperity into the universe. In simpler terms, this is called the "Universal Law of Attraction"! Of all the law of attraction techniques, I think this is the simplest! Just smell the oil and think about abundance. Or diffuse it at home or at work. Abundance has a spicy aroma that reminds me of holiday eggnog and mulled rum punch. I like to wear it as a perfume and the guys can wear it as cologne as well! This is a fun and easy reference guide for Abundance Essential Oil Blend. It will tell you how to use your oil blend and what to use it for. It will also provide you with some fun tips and testimonials! Buy Abundance Essential Oil Here! What is in Abundance Essential Oil Blend? There are eight different therapeutic grade oils in Abundance Blend. They are listed below along with a brief description of each oil. •	Myrrh Essential Oil (Commiphora myrrha) is a very powerful antioxidant making it supportive for healthy skin. It opens our mind to receiving gifts. •	Patchouli Essential Oil (Pogostemon cablin) has a sweet and rich aroma that is very beneficial for the skin. Use to reduce wrinkled or chapped appearance. It reestablishes mental and emotional equilibrium and energizes the mind. •	Orange Essential Oil (Citrus sinensis) is rich in the powerful antioxidant d-limonene and aids in maintaining normal cellular regeneration*. Also has calming effects and may be used for feelings of peace. •	Clove Essential Oil (Syzygium aromaticum) promotes a healthy immune response, and may support overall wellness*. An important ingredient in Young Living's Thieves blend, its principal constituent is eugenol. •	Cinnamon Bark Esential Oil (Cinnamomum verum) date back to the Egyptians! The essential oil promotes a healthy immune response, and may help maintain a healthy lifestyle regimen*. Brings feelings of joy. •	Frankincense Essential Oil (Boswellia carteri) is high in sesquiterpenes and naturally occurring constituent boswellic acid. It helps to uplift mood and brings feelings of relaxation. It may help smooth the appearance of healthy-looking skin, and is useful in combination with massage after exercise. •	Ginger Essential Oil (Zingiber officinale) Supportive of the digestive system, ginger is commonly used to soothe, comfort, and balance digestive discomfort*. Emotionally it gives us courage. •	Spruce Essential Oil (Picea mariana) is physically grounding and relaxing. Has a sweet and earthy scent that is fresh and fruity. It is also said to release blocks to prosperity and wealth. What are the Documented Uses for Abundance Essential Oil? Abundance, attraction denial, energy, joy, magnetic energy, positive feelings, purification, and wealth. Can this oil be used for Animals? Yes, I have not had a reason to use it on my dog, but I have used it at the farm. My horse Roxie loves the smell! Note about animals: Certain oils can be very toxic to cats. Citrus products and oils in particular if not therapeutic quality! Please consult your vet if you are not sure about applying any essential oil to your pet. What are the Safety Precautions? Abundance essential oil does not have any known contraindications. However repeated use can result in extreme contact sensitization. Can result in skin irritation; therefore dilution maybe necessary. Keep out of reach of children. Avoid using on infants and very small children. If pregnant or under a doctor's care, consult your physician. Want to Purchase Therapeutic Abundance Essential Oil? Go to the Oil Shop! Buy Abundance Oil Here! Diffuse it in your office to create abundance for your business. If you are in retail, place a drop on your packages before they are sent to your customers! Place a drop on a damp wash cloth and use as a natural dryer sheet!